Great public schools for every kid in the Bluegrass State. The school year has wrapped up almost everywhere in the Bluegrass State, and naturally, outgoing seniors enjoy taking the opportunity to say one final goodbye to the high schools they’ve called home for the past 4 years. Enter Bell County’s Ben Bowling, the valedictorian of Bell County High School’s Class of 2018, who had his own unique way to bid adieu to his classmates and their families. And it’s going viral. The audience erupted in cheers, until Bowling sealed the punch line. Maybe Bowling has a career as a future comedian? ← Live From Rural Kentucky, It’s The Belief Gap! We Have To Set High Expectations For Our Kids, But Getting It Right Is A Pretty Tough Balancing Act. Coal Helped Shape Our Rural Community’s Schools. Now, Everything Stands to Change. 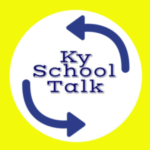 Copyright © 2019 Kentucky School Talk. All Rights Reserved. The Matheson Pro Theme by bavotasan.com.